These are the newest of the Domain stores. Plan your next shopping trip so you don’t miss a thing at the Domain stores! We are dedicated to bringing you the complete sleeping experience – and that doesn’t just include our mattresses. Experience the pinnacle of sleep innovation first-hand at any of our retail showrooms today. Amerisleep is one of the newest of the Domain stores. They feature eco-friendly, American-made mattresses that are tailored to the way you sleep. Amerisleep also uses expert sales people and “Dream Suites” where you can test out the mattresses with a nap. It all ensures you’ll get a good night’s sleep. This custom men’s wear brand allows customers to choose from fabrics and consult with a stylist to have custom-made garments. Their clothing will fit you perfectly and be ready in just 3 weeks. Handmade and custom, this is definitely one of the most unique of the Domain stores. Nespresso is a coffee shop where you can also purchase Nespresso machines and accessories. Ray Ban brings their iconic glasses to the Domain. Channel your inner-Tom Cruise with some new shades from this icon among the Domain stores. Be Bold.⠀ #GenSteve ⠀ Featuring @saracummings ⠀ & @augusta_alexander. Photographer: @jordantiberio. Steve Madden opened their second Austin-area location in the Domain in March. They sell shoes and accessories for women, men, and children at their Domain store. Ted Baker London brings UK style to the Domain stores in Austin for both men and women. Better together: bold color and garment-washed separates. Link in bio. Theory is a New York based fashion company that focuses on high-quality, well-tailored pieces. They create on classical pieces that never go out of style. What a GREAT day to get yourself a NEW yoga outfit!! Shop this @onzie set and many more at the Wanderlust downtown and domain boutiques! P.S. See our insta story for more cute leggings! This is one of the rare locally owned fitness studios among the Domain stores. It opened its second location in the Domain in June. (The first is on East 4th Street.) Wanderlust has unique Yoga offerings like classes set to live music and community events. Located inside Waderlust Yoga, Southern Pressed Juicery sells cold-pressed juices, superfood smoothies, acaí energy bowls and plant-based foods. They use only organic produce and try to use locally sourced fruits and vegetables as much as possible. A great way to recharge after Namaste! Could you be the newest resident in the Domain so you can visit the Domain stores anytime? 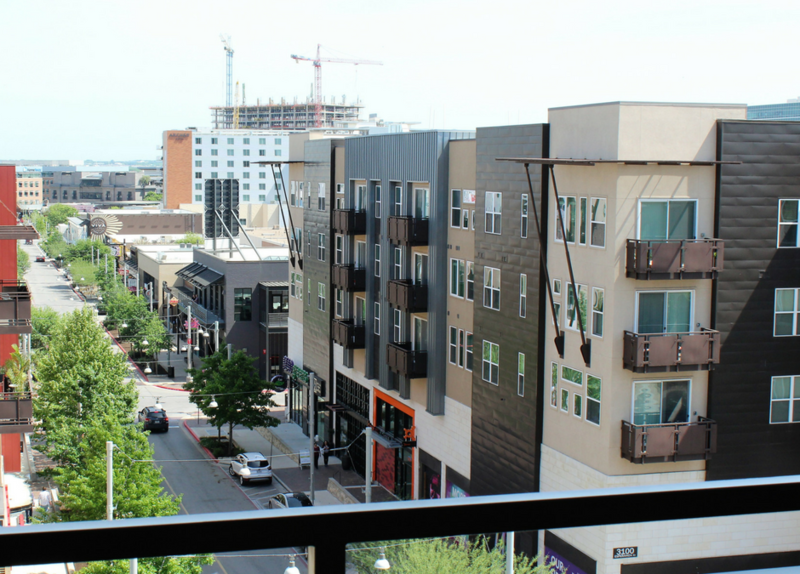 Give Apartment Experts North a call today at 512-339-4166 to find your dream apartment in no time! No matter where you want to live in Austin, we can help!